Our hostel was very clean, neat and orderly- everything we’ve come to expect of German standards. The hostel also offers free chocolates at the front door, a treat that Scott and I have mostly certainly abused with our chocoholic tendencies. In the hostel, Scott and I had separate rooms; I was in the female dorm while Scott was in the male dorm. We dropped off our bags and walked around the town. The layout of the Stuttgart is very spacious with wide streets, parks and plazas. As we walked we followed the bright lights, music and crowd and found our selves on the main shopping street of town. After a brief sweep of the town, we headed to a grocery store to buy ingredients for dinner. While preparing dinner in the communal kitchen we talked with a guy from Turkey. Later we enjoyed our dinner of stuffed peppers and salad while splitting an interesting red Riesling. We figured we had to try it as neither of us had ever seen a red Riesling before and it was a local German wine. We are still not quite sure what made it red as Rieslings are made from white grapes? The next morning we set out to the Saturday market at Karlsplatz Square. There we found a variety of antiques, mostly junk. Scott was hoping to find some old Nazi paraphernalia, but had no luck. We think it may actually be illegal here. 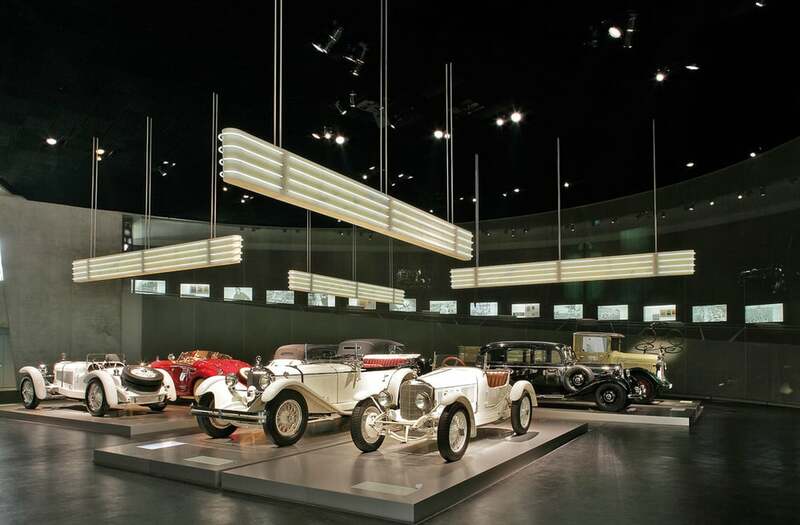 From the market we hopped on the subway to check one Stuttgart’s biggest attractions, The Mercedes Museum. Stuttgart is also home to the Porsche Museum. 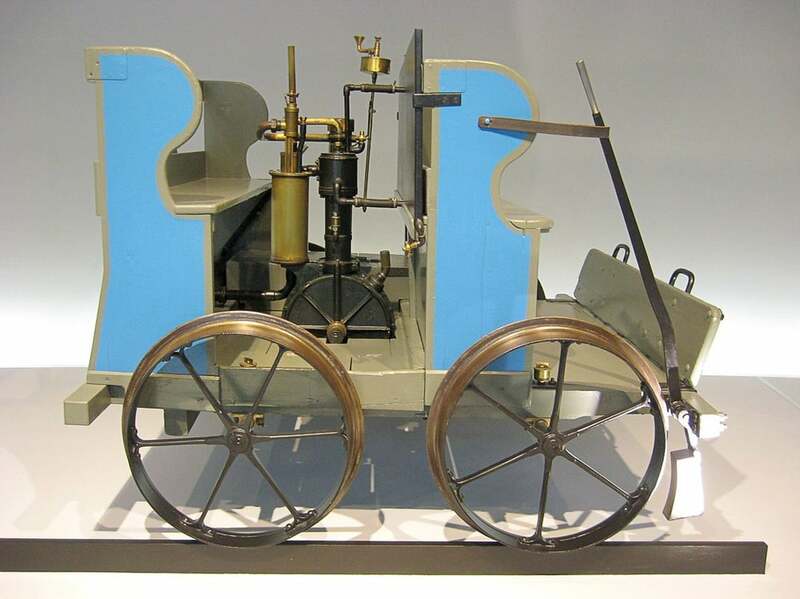 Stuttgart is where the first automobile was made by the join efforts of Karl Benz and Gotlieb Dimer. At the museum we saw two of the girls staying in my dorm room and later learned that most of the people staying in our hostel visited the museum…there’s really not much else to do in Stuttgart in the winter. The museum was very technology forward. To enter the museum we took a sleek space-age looking elevator to the 7th floor, the museum wound down like a corkscrew to each floor. 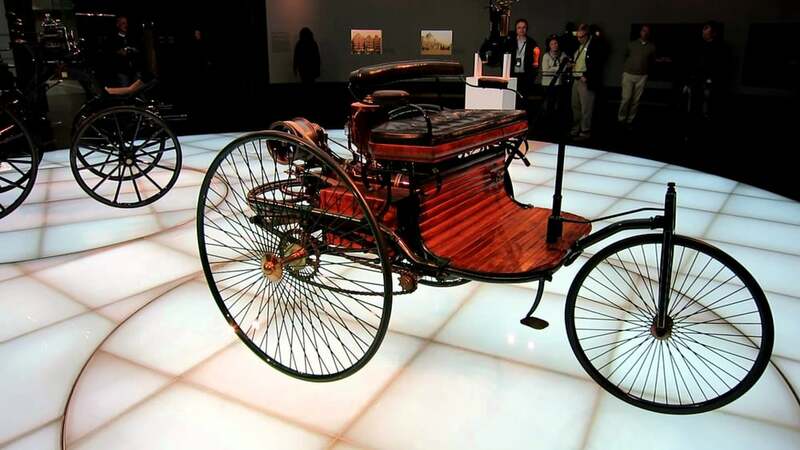 The floors took us through the different innovations and automobiles in chronological order of their invention. Our audio tour was synced using a regional location device and automatically started when we entered a new exhibit. Multiple cars, bus and trucks were on display, including some of the first vehicles predating the automobile and their engines. Dimer and Benz invented different engines. While Dimer tried in engines in all different types of vehicles like bikes, boats, and carriages, Benz was strictly interested in refining the engine for use in automobiles. We were surprised to learn about some of the progressive practices employed by the car company from an early era. They reduced working hours, provided ample pay, vacation time and sick leave. On a contradictory note to this however, they later used prisoners of war and prisoners of concentration camps as forced laborers during the war. It was also interesting to learn about how the automobile sparked vast social and lifestyle changes-taking vacations, visiting the country, the rise of marketing and advertising due to the accessibility of more products were all results of increased mobility. Back at our hostel, we made some friends while using the communal kitchen to cook dinner. We met a guy from Tasmania and Australia. Later, while eating dinner we were joined at the communal table by two more guys- one from Italy and one from France. We talked with them, comparing our countries and cultures, while watching a bizarre, over-the-top German reality TV competition show. After my mention of regretting not buying an frozen apple strudel I saw at the super market earlier, the guy from Australia offered to go get it so we could all share it for dessert. 40 minutes later our diverse group was enjoying warm apple strudel, vanilla ice cream and beer. Our new friends so kindly pooled their change together to help Scott and I purchase two beers for two euros at the hostel (we only had a 100 euro bill which the bar couldn’t accept). During our short stay in Stuttgart we devised a plan for our next couple stops in Germany. We are going to head north stopping along the way until we reach Cologne, then we will head west into Belgium, then north to Amsterdam and eventually reenter Germany to explore East Germany. Scott used the couch surfing website to find us a place to stay in Heidelberg, a city 2 hours from Stuttgart, which is home to the oldest university in Germany. We were also lucky to find another couch surfing host in the town of Wiesbaden, which translates to white bath, aptly named for its thermal springs. We plan to visit a well-known Roman bath in Wiesbaden for some R&R.